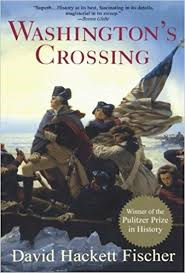 Washington’s integrity was tested in the early years of our new nation, especially during the Revolutionary War. By 1777-78, he was commanding troops and had suffered losses in all major battles against the British. Retreating 18 miles north to Valley Forge, he helped his soldiers build log cabins where they stayed the winter in freezing cold conditions. With the lack of food, cold, illness, and a demoralized army, he lost at least a dozen men each day to death or desertion. Washington urged Congress to send the troops food, but Congress advised him to steal food from nearby farmers. But that didn’t pass Washington’s integrity test. Even though local farmers were selling their corn and beef to the British, who paid in gold, Washington rejected Congress’s advice and promised to hang any soldier caught stealing food. Washington won the trust of his troops who were impressed with his integrity. The next summer, his men who had trained hard over the winter, won a victory that set the stage for overcoming the British and gaining independence for America. During Washington’s presidency, his integrity was tested often. For instance, he recognized that America’s integrity, both at home and abroad, depended on honoring its war debt. Some Americans wanted to default on payments to those at home and in France who had invested in the war for independence. Some advised repaying part, but not all of the debt. Washington clearly saw this as an issue of integrity and persuaded Congress to pass a tariff to pay all our debts. This entry was posted in common good, integrity, Leadership, leading authentically, self awareness, trust and tagged character, integrity, trust. Bookmark the permalink.